This 3 bedroom ranch home located in Farmington Meadows has a large pond view in the backyard. Priced under market value and a great opportunity to do your own upgrades to make it your own in a neighborhood with much larger homes. Your backyard neighbors will be across the pond. You could be sitting on your back deck relaxing with a water view! 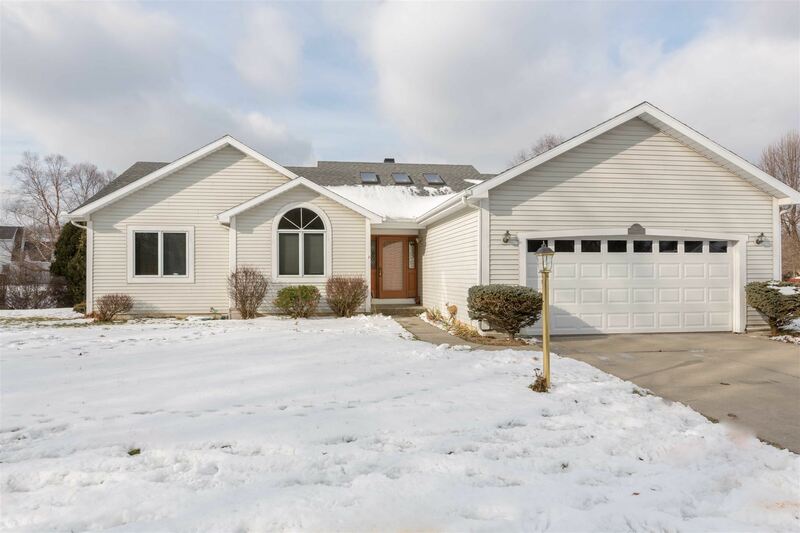 The home is 1730 sq feet on the main level plus a full unfinished walkout basement with 2 locked storage closets and an additional lookout window to carve out rooms to meet your needs. There are nice surprises throughout: vaulted ceilings, dual sided fireplace, built in cabinetry surrounding the fireplace, skylights, natural stained wood trim, 6 panel wood doors, 3rd bedroom/den option room and main level laundry with sink. Brand New Roof in 2017, new garage door, AC is about 5 yrs old, 90% efficient furnace just inspected & serviced, the deck was just redone & freshly stained and a total of 6 windows will be replaced. 80 gallon water heater is currently rented $21 per month 4-5 yrs. old. Living in the Farmington Meadows association comes with a community pool. NOTE: gas could easily be run for the oven/range and dryer if needed.